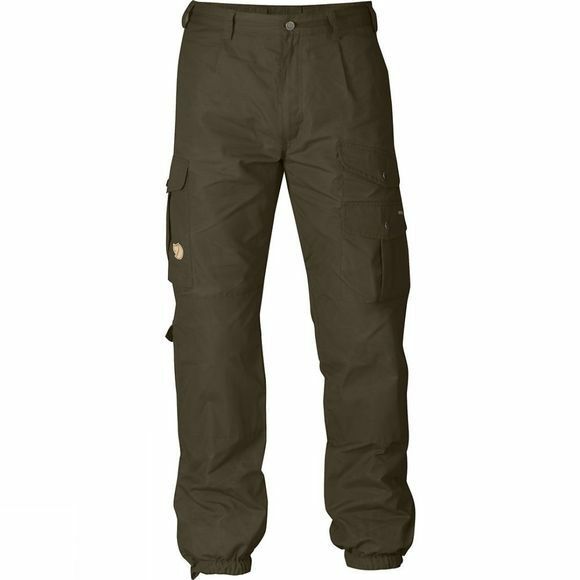 Durable trousers in classic cut for trekking and outdoor life in general. G-1000 with elastic, buttoned hems. Double reinforcements over the knees. Seven pockets with room for a map, axe and anything else you want close at hand.